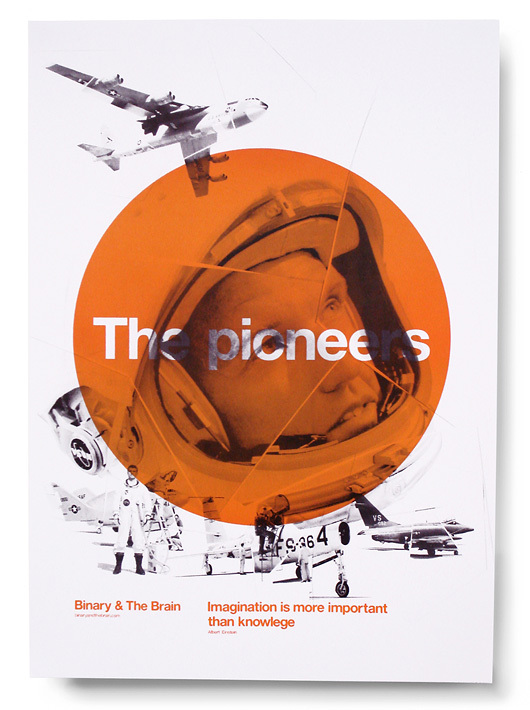 Binary and the Brain: The Pioneers Poster | Shelby White - The blog of artist, visual designer and entrepreneur Shelby White. 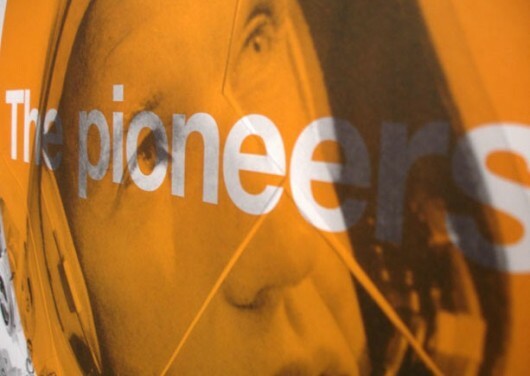 In this poster, Binary and the Brain were paying homage to some of the world’s greatest pioneers from the NASA photograph archives. The poster is printed on 100% recycled, heavy, matte stock and can be purchased from their website. Really nice pallet and layout.The subtle off-white is really nice. I would love to print on antique or off white papers, but ordering them is a bit of an ordeal. 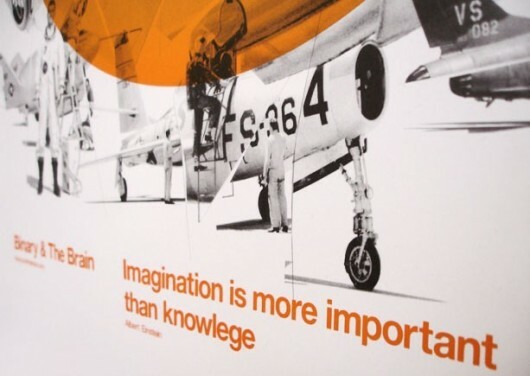 As always this is a great source of inspiration and creativity. Thanks! @Rob you’re totally right! Bummer that they didn’t catch that one!